Welcome to Three Bridges Lamanchas. 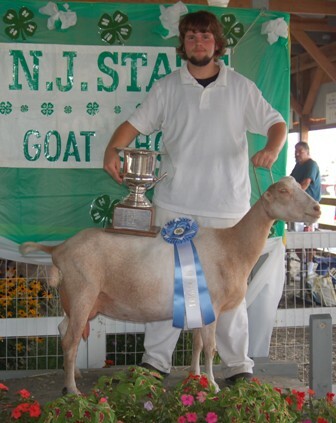 When we purchased our property in the beautiful Pine Barons of New Jersey my very wise Grandmother told me I needed to get some goats to help clear the scrub. She had no idea what she started. 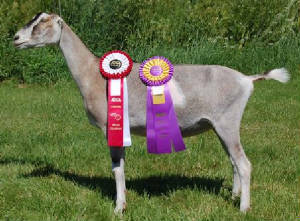 Our first goats were pygmies and we soon learned about dairy goats. As we researched all the breeds we came across the Lamancha. My first thought was they are very different in appearance and attitude. 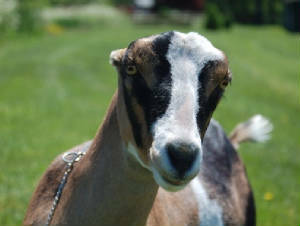 As any Lamancha Breeder knows and we soon found out, this particular breed are known for their sweet temperment. We purchased our first doe with the advice of Bill Griner of Little Orchard and our love of the breed was born. As our little herd began to grow we were lucky to purchase a few does from some wonderful herds, Candlelight, Little Orchard and our newest addition Lucky Star*. We test for CAE, CLA, and Johnes annually and we have had a negative status for 3 years. We are present at every birth and all kids are raised on CAE prevention with heat treated colustrum and pasteurized milk. We are on DHIR and participate in ADGA linerial appraisals. 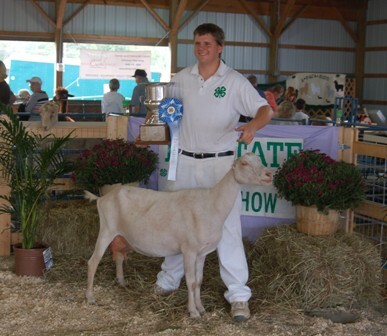 Our goal is to breed and raise healthy milking and show Lamanchas. 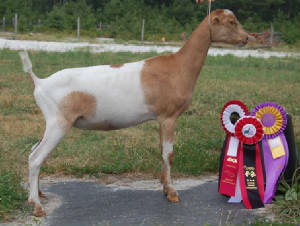 Alexnder with Three Bridges TT Hemera 2009 4-H State Goat show, Hemera following in her dam's footprints.